The small electric pole is the basic electric pole. It has a short wire reach and small supply area, but it is also available from the beginning of the game. 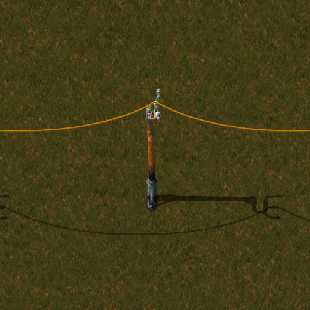 Typically, it is replaced in factories by medium electric poles later in the game. Small electric poles are no longer usable as fuel. Small electric poles now have a fuel value. This page was last edited on 27 March 2019, at 13:30.